Without dissent, but with strong concurring opinions, the Supreme Court has decided two cases that could, over time, significantly affect the relationships between the federal government and the regulated community. In the first case, the Court was asked to review the distribution of regulatory powers between Amtrak, which operates many railroad operations, and its rail competitors, resulting from a transportation law enacted in 2008. In enacting this law, the question is whether the Congress illegally delegated some of its regulatory powers to Amtrak. The Court ruled that it did not, but the case was returned to the lower court to decide some important constitutional issues. In the second case, the Court held that federal agencies, when they issue interpretive rulings, are not required to follow the standard notice and comment procedures that govern federal rulemaking, even though these interpretive rulings may have a very important effect on the parties that it regulates. While legal, the practice clearly troubles some of the Justices. 1. In Department of Transportation, et al., v. Association of American Railroads, decided on March 9, 2015, Justice Kennedy, writing for the court, vacated a D.C. Circuit ruling (reported at 721 F.3d 666 (D.C. Cir. 2013)) which held that, for purposes of implementing the “metrics and standards” provisions as mandated by the Passenger Rail Investment and Improvement Act of 2008 (Act), Amtrak was a “private entity” exercising an unconstitutional delegation of authority over its private rail competitors. The Court held that this determination of Amtrak’s status was erroneous, and that Amtrak was, and has always been, a largely federal entity funded by the Congress. However, the case was remanded to the circuit court to consider the serous constitutional issues involved in Amtrak’s exercise of this authority. Justice Alito concurred, and his opinion described the many constitutional flaws that he sees in the present configuration of Amtrak’s powers under the Act. Justice Thomas, in a long concurring opinion, sets forth his views regarding the constitutional contours of the non-delegation doctrine. 2. In Perez, et al., v. Mortgage Bankers Association, et al., decided on March 9, 2015, the Supreme Court reversed the D.C. Circuit’s opinion (reported at 720 F.3d 966 (D.C. Cir. 2013)), which held that whenever a federal agency issued an interpretive rule significantly departing from an earlier interpretive rule, the notice and comment provisions of the Administrative Procedure Act (APA) must be followed. Justice Sotomayor, writing for the Court, held that this decision, reflective of recent D.C. Circuit jurisprudence, cannot be squared with the text of the APA which clearly exempts such administrative proceedings from the APA’s notice and comment requirements. Implementing such a change is the province of the Congress and not the courts. 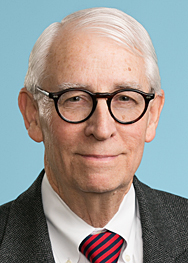 Even so, regulated entities are not without recourse under the APA–the arbitrary and capricious standard and the Court’s recent ruling in the FCC v. Fox Television Stations, Inc., 556 U.S. 502, 513 (2009), decision holding that an agency must provide more substantial justification when its “new policy” rests upon factual findings which contradict its prior policy, or when there are serious reliance issues at stake. Justice Scalia concurred, and he lamented the scope of deference the courts have applied to such exercises of agency interpretation, and Justice Thomas filed an opinion which “calls into question the legitimacy of our precedents requiring deference to administrative interpretation of regulations” rather than reviewing the regulations themselves.